So there was a point in time in which I would write about video game music every Saturday. I liked that, I wanted to get back to it. However there will be changes made to the format. Last time I did this I would put up a single piece of music and write a little bit about that. This time I don’t want to be as rigid with it, if I have something on my mind to say about music, I’m writing it down. Anyway here goes. 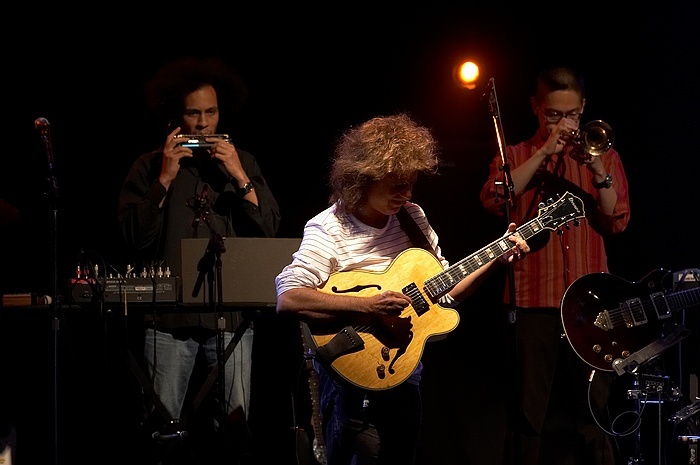 Recently I started listening to the Pat Metheny Group, an old Jazz Fusion band, admittedly I became aware of them through a recent anime JoJo’s Bizarre Adventure. At the end of their album Still Life (Talking) this piano track comes on and every time I hear it I think of some small village at night-time in a Japanese Role-Playing Game. There are certain musical artists I’ve listened to and it’s been very clear how they’ve influenced game composers. Stick on Emerson, Lake and Palmer and you’ll hear where some of the battle music from Final Fantasy comes from. Stick on Yellow Magic Orchestra and you’ll hear where a lot of inspiration for NES music. While I don’t have a lot to say about this, I thought it would be interesting to bring it up. Maybe I could dive deeper in the future. I would really appreciate feedback on this because I’m trying something new here. Feel free to leave a comment or bug me on Twitter.